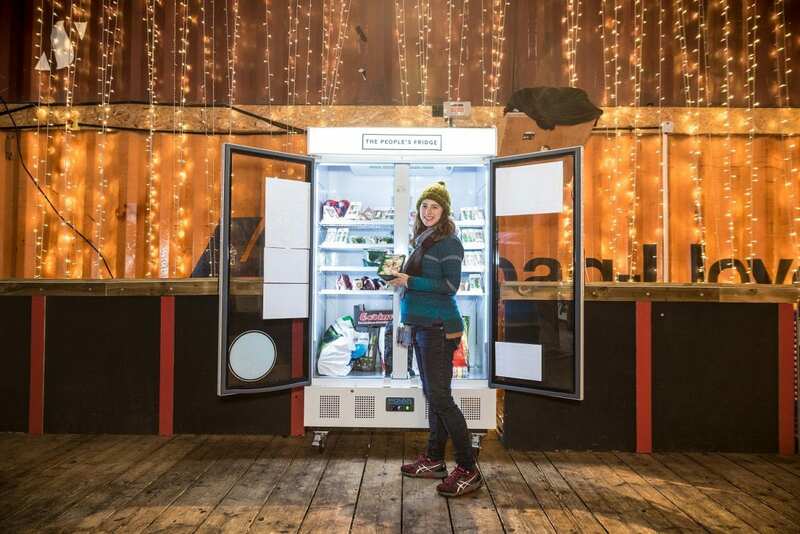 London’s first community fridge has been launched giving local businesses and residents a place they can leave spare, edible food for those who need it. 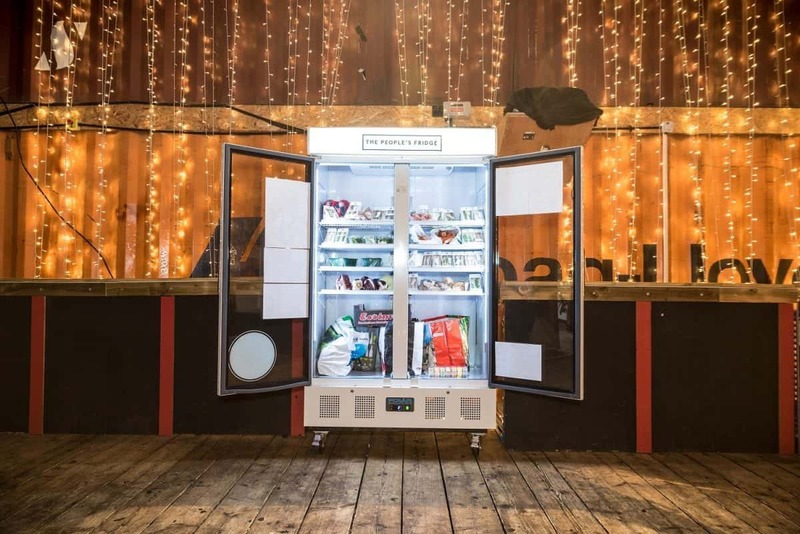 Powered by a crowdfunding campaign and run by a group of local volunteers the community fridge aims to cut food waste, encourage food sharing and help tackle food poverty. Food waste is a huge issue in the UK and is valued at about £17 billion each year. 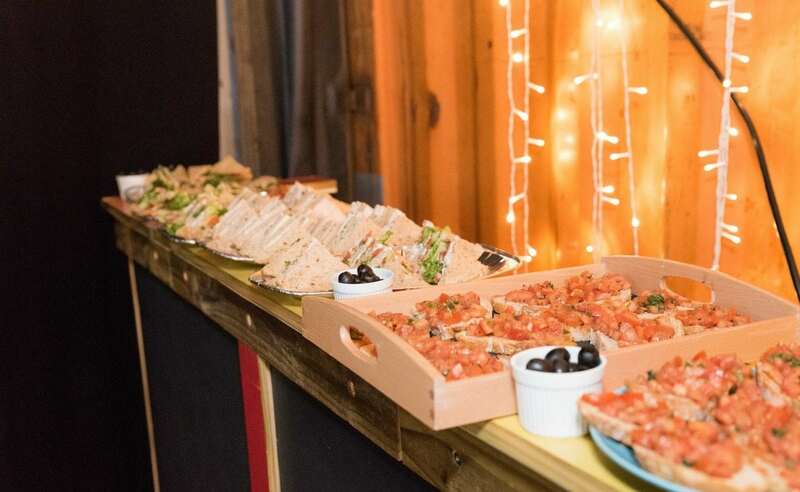 Restaurants throw away 900,000 tonnes of food a year and UK households throw away on average an equivalent of 24 edible meals a month, meaning Lambeth households alone throw away nearly forty million meals each year. Currently 8.4 million people in the UK – about the size of London’s population – live in food insecurity. The People’s Fridge helps to bridge this gap. Open to anyone, it offers a secure, managed place for retailers, restaurants and individuals to share fresh food with those who need it. Anyone can donate food or take it out and its presence provides a visible focus for cutting food waste and helps boost the sharing economy in London. Hundreds of similar fridges have already been launched in Spain, Germany, India and also in Frome, Somerset and now Derbyshire. 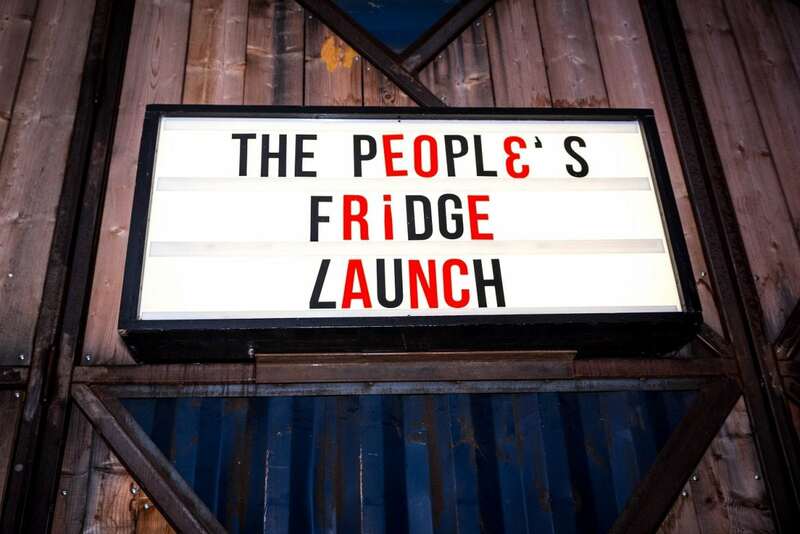 The People’s Fridge is situated in the heart of Brixton inside foodie hotspot Pop Brixton, whose traders have agreed to help stock and clean the fridge each day. The People’s Fridge, which has been commended by Jamie Oliver, is run by a group of local volunteers. With a crowdfunding target of £1,000 broken in just three days, the fridge went on to raise a total of £2,270 to enable the team to provide better support for food sharing in Brixton.